A zebra crossing with a central island is two separate crossings (see pictures in Crossings (18 to 30)). Pelican crossings. 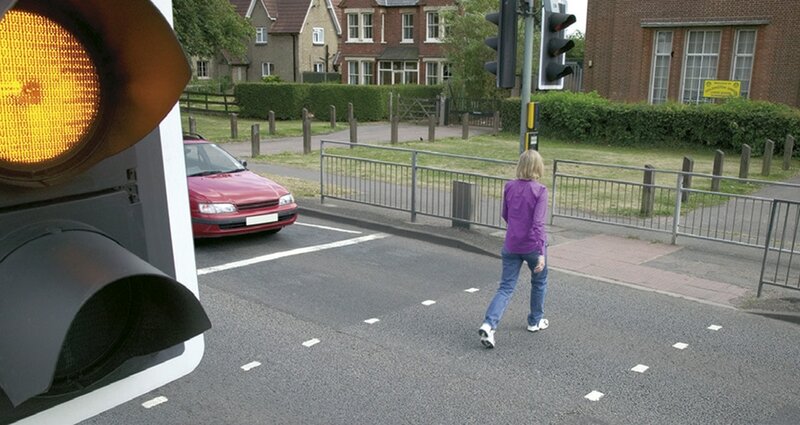 These are signal-controlled crossings where flashing amber follows the red ‘Stop’ light. You MUST stop when the red light shows. When the amber light is flashing, you MUST give way to any pedestrians on the crossing. If the amber light is flashing and there are no pedestrians on the crossing, you may proceed with caution.